Here's a quick overview of the schedule, exhibitors, menu, prizes and sponsors. Print on 11x14 double sided or simply download and view. Here's our main event poster for Earth Day Wednesday April 22. It has all the details and sponsor logos! Check out this drawing by Youth of the Earth Council member Mireku! Print or email this simply elegant 8.5x11 flyer with more details on the back. Thanks Longmont Compass for the wonderful article and sweet graphic! Learn about bees, birds, energy and recycling with fun activities at every booth. 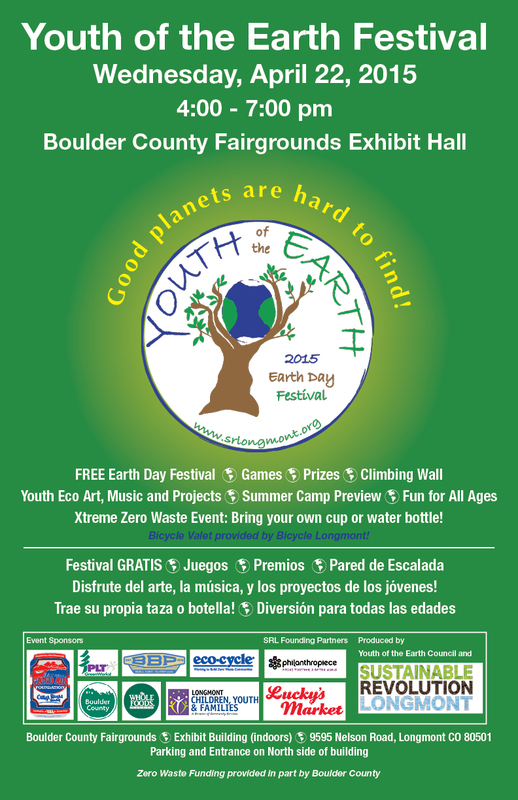 Xtreme Zero Waste Event: Bring your own cup or water bottle! Bring pens, pencils, cell phones, and digital cameras to recycle. Ride your bike and park it safely with Bicycle Longmont’s bike valet. Healthy, chef-prepared food served on real plates. Proceeds benefit Longmont Food Rescue and Sustainable Revolution Longmont. 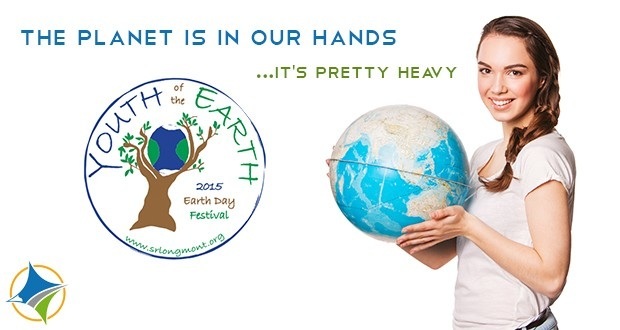 Performances by Earth Guardians and more. New song to be written based on youth input and performed at 6:30 pm. Download the free mobile web app prior to the event for all the details. See something we missed? Have a great idea?